The visit of the President of the Philippines Rodrigo Duterte to China on October 18-21 this year and his talks with President Xi Jinping are notable from several perspectives. 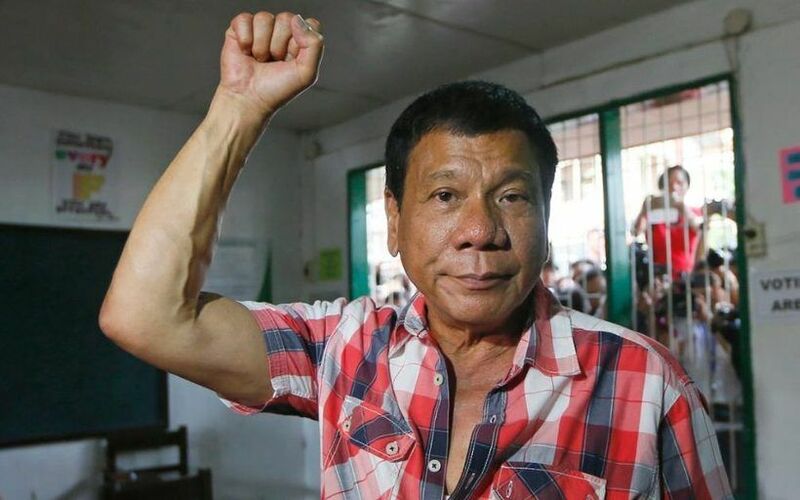 After a convincing victory in the General Election in May 2016 and inauguration on June 30, R. Duterte has literally burst onto the global public policy scene. Over the first two or three months of his presidency, he became famous for his primarily ‘non-judicial’ (to put it mildly) methods of combating drug traffickers, as well as for his impolite assessments of all those who dared to mention the ‘certain extremes’ of the (generally praiseworthy) policy to preserve the national health of the Philippines. Among the latter there were not only professional ‘human rights activists’ and the clergy of the Catholic Church of the Philippines, but also respectable people such as the current UN Secretary-General and the President of the world’s leading power. However, he had to apologize to Barack Obama and that rather positively characterizes R. Duterte’s start in international politics wherein the nation expects to see a balanced assessment of the situation concerning the country’s neighbours and also well-balanced steps in foreign policy that take these assessments into account. The situation in South-East Asia as a whole is becoming more alarming every year. The Regional Association (ASEAN), which includes the Philippines, had positioned itself as something akin to the centre of political and economic processes in the region as early as 10 years ago, today it is transforming to an ever greater extent into a sheepwalk with a symbolic fence. Cheerfully smiling, major international ‘shepherds’, offering all sorts of services to the ‘lambs’ have started to appear increasingly not only outside but also inside the fence. However, the eyes and teeth of these ‘shepherds’ occasionally strangely gleam in the dark. So far, mainly towards each other, but that, however, did not assuage the fears of those living inside the fence. Do the ‘lambs’ not know that ‘if something happens’, it would first fall to them. All these particular peculiarities of the regional situation were taken into account by the new Philippine president when he apologized for his verbal liberties directed towards the leader of one of the world powers, yet a month and a half later, he went to the capital of its main competitor. In political science this is referred to a weak player finding balance in the field of power formed by strong players. Contrary to widespread belief, R. Duterte did not break his alliance with the United States. This is generally a procedure that the head of state may only initiate. Its finalisation is the responsibility of the legislative authority alone. And it is unlikely that such a (very hypothetical) initiative would be supported by the military elite of the Philippines that was trained in the US. The only thing that R. Duterte said with any certainty refers to ‘the lack of plans’ in terms of joint military exercises with the United States next year in 2017. The Balikatan (“Shoulder to shoulder”) military drills are the largest among them and they are still held every year without fail. However, Perfecto Yasay, Minister of Foreign Affairs of the Philippines appointed to the post by R. Duterte, in turn, said that in 2017 the planned joint military exercises with the United States would still take place; however it is possible that there will be talk of a cessation of such exercises in 2018. In general, the Ministry of Foreign Affairs of the Philippines acts as a kind of ‘damper’, smoothing out the effects of the particularly brutal statements made by the country’s leader. Thus, after his harsh words about the UN Secretary General, there was a statement from P. Yasay that the Philippines were not going to leave this authoritative international organization. Reproducing the rhetoric of R. Duterte about ‘the bilateral nature’ of the territorial disputes with China in the South China Sea, the Philippines Foreign Ministry and its head expressed their satisfaction with the decision of the Hague arbitration dated July 12, however, which disavows China’s claim to all archipelagos in the South China Sea. Trade Minister Ramon Lopez had to assume the role of the ‘interpreter’ of the next escapades of R. Duterte (that occurred in China) regarding the necessity to break economic ties with the United States. The meaning of the ‘explanation’ could be summed up as that his boss had really meant the urgent need to intensify the economic relations between the Philippines, China and ASEAN countries. Let’s recall, however, that the President of the Philippines himself behaves quite appropriately in the practical sphere (i.e. not in terms of public rhetoric). In particular, his apologies to B. Obama were made almost immediately after the appearance of Chinese ships near Scarborough Shoal, which is the root of the dispute between the Philippines and China. There is undoubtedly a cause-and-effect relationship between these two events. Perhaps, the most important of which is that China quite clearly sees the objective framework which the Philippines and the President of the country are really working within. Therefore, the next series of R. Duterte’s anti-American rhetoric, delivered in China, was met by the latter without any euphoria. In particular, the Chinese do not expect that “the Philippines under R. Duterte’s administration will break ties with the United States.”The best case scenario that Beijing can hope for is that “instead of serving Washington’s policy of rebalancing the Asia-Pacific region”, they would focus Philippine foreign policy on the Philippines’ interests. It seems quite natural that given the extreme complexity of the territorial issue, the parties are currently focusing attention on the development of economic relations. In a trip to China R. Duterte was accompanied by a delegation of 400 businessmen from the Philippines. Incidentally, Philippine business is mainly run by Huaqiao, i.e. immigrants from China. It is also important to note that in recent years China has become the leader in the sphere of trade and economic relations with almost all ASEAN countries and the Philippines is no exception. During the summit, a package of the agreements worth a total of $13.5 billion was signed. Judging by the statement released following the negotiations in Beijing, in the future both Parties will focus on China’s support for the development of transport infrastructure of the Philippines and of state-of-the-art agricultural technologies. These spheres are increasingly crucial to the future economic growth of the Philippines being among regional leaders in the last decade with an annual GDP growth of 6-7%. The Chinese authorities’ support for his anti-drug campaign (but within the framework of ‘Law and Order’), and its readiness to provide comprehensive aid also turned out to be very important for the president of the Philippines. Regarding the situation in the South China Sea and territorial issues, the wording of the Joint Statement are fairly general (and already established). For China, it is important that, as in the previous (multilateral) documents, the topic of the Hague arbitration decision is not mentioned. In general, the visit of the Philippine President R. Duterte to China should be assessed as quite successful. As for the situation in general regarding Philippine-American relations, it is likely that they will be frozen until the inauguration of the new President of the USA, which will take place in January next year. It seems also certain that any next American president will make efforts to normalize relations with Manila. Especially if the Department of State will be led by one of the proven experts on Asia-Pacific issues, which US foreign policy has long started to ‘tilt’ towards. There are currently no compelling reasons why R. Duterte, a pragmatic politician, would not respond positively to this message that is quite expected to come from the US.